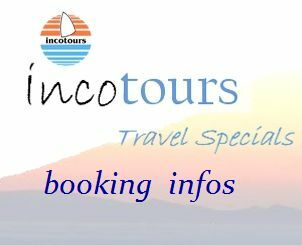 The great positive feedback and high appreciation of our valued customers has incotours caused by this web page to offer proven and new interested travelers directly. 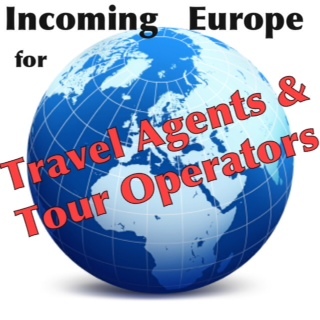 The extensive experience of our team and the existing excellent contacts with powerful hoteliers, transporters and other service providers, our in 1986, founded in Athens by Konstantin Frangos incotours-international cooperation tours - provide our travel clients the best possible service. Discover with incotours classic destinations in Europe, such as the "classic Destination Greece" with the mainland, northern or western Greece, the southern Mediterranean and the beautiful islands of the Cyclades - Mykonos, Delos, Naxos, Paros, Santorini - the islands of Crete and Rhodes, Corfu, and many MORE. Visit the Acropolis, the legendary Temple of Poseidon at Cape Sounion and see how a picture book, the fascinating sunset. Guests can relax on the small islands of the Aegean and enjoy the local cuisine. In Greece and Cyprus for a cooking class you can even make yourself your handicraft to the test. Join us to explore the classical ancient sites, of Philippi, Kavala to Knossos in Crete and from Delos, Delphi, just as you like. In our destinations, we work with various partners and selected suppliers by high criteria that we are very committed in relation to sustainability. The priorities are very different. The commitment of our partners, ranging from a sustainable work environment with extensive information for customers, targeted selection of accommodations to support local and regional travel plans. For many partners, programs are available for preservation of the ecosystem in the foreground. This is particularly important to us and our partners, and not just because a healthy ecosystem in many countries is the basis for tourism. It is one of the first and most important steps that we should make ourselves on our trips to meet foreign cultures with much respect. Even a few words in the local language often open the hearts of the locals. Our aim is to provide not only good quality and services at resonable rates and conditions, but always adapted to our customers' wishes travel services without offering costly presentation. Under the theme Travel right, we're committed to budgets put at our disposal to use so that our customers are provided completely satisfied. If you are traveling properly and completely satisfied, then so we are too! This includes our belief that a relaxing holiday and a successful travel plans should already start with a smooth and hassle free booking. Our constant endeavor is to provide our travel clients not only to deliver what promises to be a written offer of services. Rather, our customers receive excellent service with the utmost transparency. In the end, our travelers should come back home thrilled with the best impressions, full of energy and well-being of their vacation !